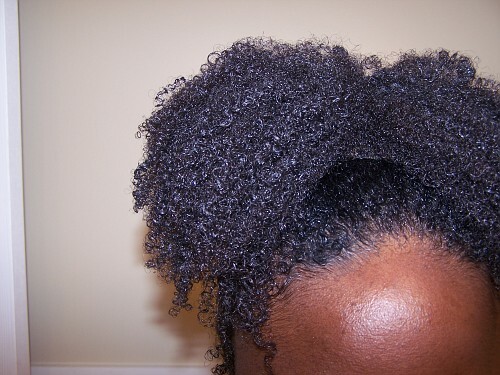 I've been natural for almost 8 years and I have had many setbacks. I have learned alot of lessons the hard way. This is my current routine. Remember when the jerricurl was popular in the 80's? Well, one of the reasons I wanted one was because it seem that everyone with one was able to grow long hair. Thank God, my momma wasn't having that or I would have had some embarrassing family pictures floating around today. Eventhough the Jerricurl is the result of a very damaging chemical, the reason my friends' hair would grow was because of the MOISTURE! That is the one thing I have learned the hard way, don't let my hair get dry. My hair needs water every couple of days. So I spritz it at night and seal with grapeseed oil or avocado butter. Because of laziness, I wasn't keeping up with moisturizing my hair and a few weeks ago I got 3 inches cut off. So follow me as I reclaimed my inches plus more by the end 2012. Daily: My all time favorite daily product is Grapeseed oil and water. 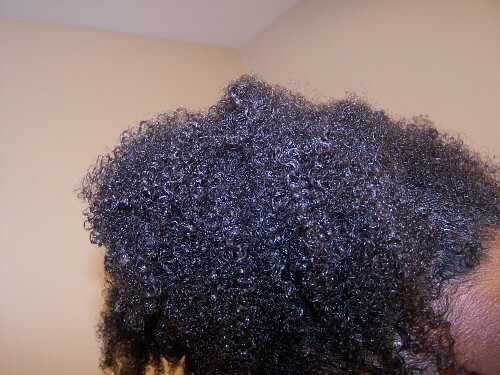 I will lightly mist my hair with water then seal with Grape seed oil. Nightly: Always tie my hair with silk scarf. Apply Grapeseed oil and Avocado butter. I will also give myself a scalp massage a few times a week with castor oil or raw avocado oil( it's deep green in color ). As Needed: I spray my hair with a mix of 50% spring water,40% rose water and 10% aloe vera, I experiment with different ingredients to see what works best for me. I use this mist when my hair starts feeling too dry. I also like to use this mist at night so my hair can feel more moisturized and envigorated in the morning. Next, steam my hair for 15 - 20 minutes or place a plastic bag on my hair for hours. After I do my DeepPrePooTM conditioning treatment, I shampoo, then I usually bantu knot my hair in 6 sections to air dry. Finally, I take each air dried section and put 4 to 6 twists in each section. So I usually end up with 24 to 36 medium twists. African mint (ocimum canum) extract (aqueous), African black soap (saponified shea butter* [butyrospermum parkii] and palm kernel oil [elaeis guineensis]), lauryl glucoside, tangerine essential oil, orange essential oil, lemongrass essential oil, litsea essential oil. *Certified Fair for Life - Social and Fair Trade by IMO. Weekly Style: Of course I try to practice low manipulation styles. So I opted for twist,bantu knots, twist outs, and high buns. Nutritional Support: Eat as much raw food as possible, period!! Scalp Health: castor oil, apple cider vinegar, coconut oil, and deep green avocado oil. Tip: Twistouts are more define the longer you let them stay twisted. Thanks for the info. Where do you get your avocado butter?